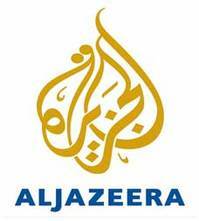 When I think of New Media and new media news organizations one of the very last organizations that comes to mind in news reporting service Al Jazeera, yet they have made a decidedly big move to focus more of their energies on new media reporting. Following the Libya rebellion in which Andy Carvin set a weekend record with 1,200 tweets the network has decided to dedicate large amounts of airtime to broadcast news from Twitter. According to The International Journalists Network the decision was reached after the broadcaster aired a special called Egyptian Tweets which showed pictures and videos from post-revolution Egypt along with first-person accounts of the riots that occurred in the region, shortly after that piece aired the news organization extended Twitter reports to all of Al Jazeera’s Egypt Channel. Al Jaeera’s newest show titled The Stream has been airing since May and popularity for the series has picked up in the last several months. The move makes sense for the organization as news agencies fight to “break news” in an age where citizen journalists are able to take photos, make videos and report on stories as they occur, no longer relying on traditional media agencies to interview them so they can share the stories they have witnessed, not to mention that by integrating Twitter into their programs Al Jazeera gains access to free, easily accessible news that people want to hear about. What do you think about Al Jazeera’s move into Twitter news reporting.